Eggs are not just for breakfast. A beneficial source of protein and vitamins A, D and B, they are economical, versatile and nutritious enough to fit into any meal of the day. According to the Egg Nutrition Center, the French had mastered over 685 techniques for preparing an egg by the time of the French Revolution. Whether an egg is scrambled, boiled, poached and fried, there is usually a cooking technique that ensures perfection if followed. Frying an egg and keeping it from sticking to the pan requires a combination of preparation and patience. Get it right and your egg will slide from pan to plate effortlessly. Set a non-stick frying pan on the stovetop. Set the burner to medium heat to preheat the frying pan before you begin frying the egg. Preheating is complete when a drop of water sizzles on the frying pan. Coat the frying pan with a small amount of butter or margarine for flavor and extra slip, after preheating. 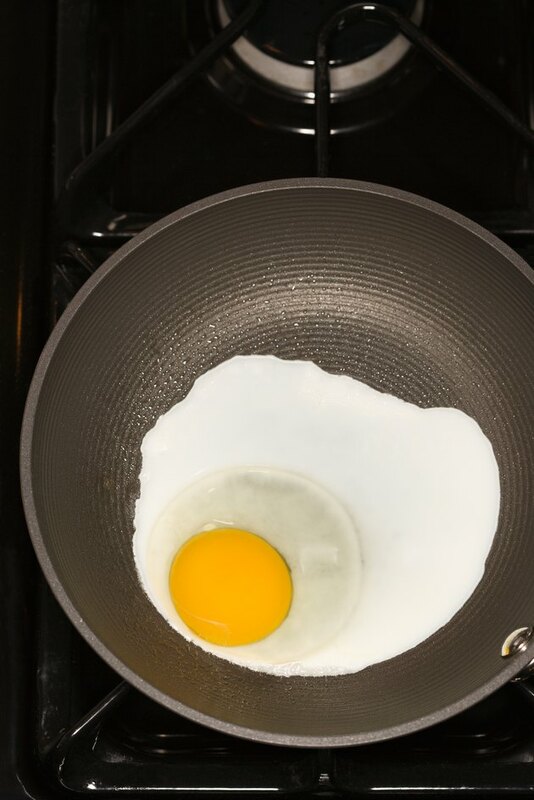 Crack the egg by hitting it gently against the edge of the frying pan. Separate the shells and allow the yolk and the whites to flow into the center of the frying pan. Fry the other side of the egg until the yolk reaches your desired doneness. An over-easy egg may only need a minute or so of cooking on the yolk side. If you prefer a firmer yolk, two to three minutes on either side should suffice. Slide the spatula under the fried egg, moving it from the frying pan to a plate. Turn-off the stovetop and allow the frying pan to cool. If you are not handy with a spatula, cover the egg as it fries with a lid from a pot instead of turning it over. The egg will cook on both sides under the heat of the lid. Always use a plastic spatula on a non-stick frying pan to avoid scratching the coating. If you do not have butter or margarine available, coat the pan with cooking spray. Do not fry the egg on high-heat. The higher the heat, the more likely the egg is to burn and stick to the frying pan.